Dr. Jason Archibald's clinical interests include sports medicine and cartilage restoration. He performs arthroscopy of the shoulder, knee and hip as well as knee and hip replacements. It was brief, and he had nothing to suggest ... but nothing was needed. Dr. Archibald explained my condition, and answered all my questions. He was excellent. On time, kind, and knowledgeable. He understood my needs and treated appropriately. 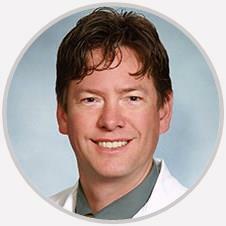 Dr. Jason Archibald's clinical interests include sports medicine and cartilage restoration. He performs arthroscopy of the shoulder, knee and hip as well as knee and hip replacements. Dr. Archibald graduated from Brigham Young University with a degree in English. Afterward, he received his medical degree from Duke University. He completed his orthopaedic residency at Johns Hopkins Hospital and a sports medicine fellowship at the University of Wisconsin. During his training he worked with the Baltimore Orioles, the Johns Hopkins University lacrosse team as well as many division I teams at the University of Wisconsin. Outside the hospital, he enjoys rock climbing and mountain biking. He is fluent in French and currently resides in Charlestown, Massachusetts.